British author Charlotte Mary Yonge may be placed in literary history as the leading novelist of that Anglo- Catholic revival known as Tractarianism, or the Oxford Movement. However, this classification cannot explain why her domestic novels have always been enjoyed by many readers to whom her religious views are a matter of indifference or even hostility. Firmly opposed to crudely didactic fiction—especially for children—she had the ability to extract dramatic tension from almost any family situation and relationship and to develop it with delicate moral and psychological notation. Life Spent in Otterbourne. Yonge was born in Otterbourne, England, in 1823, and she lived all her life in the village of her birth. Her father, William Yonge, had sacrificed his military career, his beloved Devonshire home, and many of his artistic tastes in order to gain the consent of his mother-in-law, a woman considered narrow by her own contemporaries, to his marriage to Frances Mary Bargus. He and his wife settled down on Mrs. Bargus’s small estate in Otterbourne, near Winchester. Here, he made a new life for himself out of village interests, church building, and the education of his daughter. He and his wife taught her Latin, French, German, history, and mathematics, in addition to giving her religious instruction. In the nineteenth century, there were limited educational opportunities for young girls in Great Britain. Few schools focused on such academic topics, and many girls were educated in some fashion at home. At the age of seven, Yonge attended the Otterbourne Sunday School. She went on to teach in the school, seldom missing more than a few weeks each year, until her death seventy years later. Religion and Friendship. In 1836, John Keble became rector of the neighboring parish of Hursley and would be, after her father, her greatest influence. In preparing Yonge for confirmation, he recognized her brilliant mind and passionate love of history. She absorbed all he had to teach her about the doctrine of the Church of England, and in her later life, neither the claims of the Roman Catholic Church on the one hand nor the prevalence of religious doubt on the other seemed ever to have troubled her faith. Keble’s support of her intellectual interests was unusual in this time period. In nineteenth-century Britain, women were treated as inferior. Stereotypes and prejudices portrayed women as weak and incapable in most areas. Most professions and occupations were closed by statute to women, and the only professions that were socially acceptable were those of teacher, secretary, or homemaker. Yonge’s circle also included the family—which eventually numbered fifteen children—of George Moberly, headmaster of Winchester College. The Kebles, Moberlys, Yonges, and the Yonges’ Coleridge relations formed a close circle of mutual interests and stimulation. In 1850, Marianne Dyson, an invalid friend, suggested that Yonge develop a story that would contrast two characters, the essentially contrite and the essentially self-satisfied. The result, finished late in 1851, was The Heir of Redclyffe (1853). Shortly after the publication of The Heir of Redclyffe in January 1853, Yonge found herself famous. Her family initially had disapproved of her desire to become a writer, as it was considered socially improper for a woman to profit from her own labor. They only agreed to let Yonge continue as long as the proceeds were contributed to missionary activities. Continuing Success. While working on The Heir of Redclyffe, Yonge was also writing her best children’s book, The Little Duke (1854), about the tenth-century Richard of Normandy, and beginning two series, Cameos from English History (1868-1899) and Conversations on the Catechism (1859). All three were serialized in the magazine she founded in 1851 and edited until 1894, the Monthly Packet of Evening Readings for Members of the Church of England. The magazine, which probably never had more than fifteen hundred subscribers, was thoroughly an expression of her personality and interests: fiction, history, literary history, theology, and botany were the leading subjects. Later, more scientific material was added, and British author Lewis Carroll (Alice in Wonderland, 1865) contributed some mathematical puzzles. After the death of her father, Yonge and her mother moved in 1858 to the nearby Elderfield Cottage, which remained Yonge’s home until her death. The 1860s were a difficult time in Yonge’s life. Both of the Kebles died in 1866, and the Moberlys left Winchester the next year. Her mother began a decline into senility, possibly through a series of small strokes, which Yonge found all the more difficult to bear because she and her mother had been such inseparable companions. Her novels of this period share a depressed tone, but her output remained as high as ever. Old Age. The early 1870s saw Yonge at the height of her powers. In addition to beginning the series of ‘‘nursery histories’’ known as ‘‘Aunt Charlotte’s Stories’’ and a series of religious pamphlets to be used in preparing young people for confirmation, she serialized in the Monthly Packet her tribute to John Keble. In 1870, she also began to serialize in the Monthly Packet a novel called The Pillars of the House which, along with The Daisy Chain, represents the summit of her achievement as a domestic novelist. Yonge was occupied with her writing and her village pursuits until March 1901, when she was overtaken by bronchitis and pneumonia. She died on March 24, 1901. Alfred Tennyson (1809-1892): The poet laureate of the United Kingdom wrote melancholy verse about issues of mortality. His narrative poems include Idylls of the King (1885). Dante Gabriel Rosetti (1828-1882): This British poet and artist was a founding member of the pre-Raphaelites, a group of artists who emphasized ingenuity and natural expression. His paintings include Ecce Ancilla Domini (1850). William Morris (1834-1896): This artist, poet, and socialist was a member of the pre-Raphaelite Brotherhood, and admirer of Yonge. His poetry collections include The Defence of Guenevere and Other Poems (1858). Henry James (1843-1916): This American writer and critic moved to England and became a fan of Yonge's writing. James' novels include The Portrait of a Lady (1881). Throughout her life, Yonge was concerned with issues of spirituality and faith. She attended church regularly, and emphasized loyalty to God in her works. Here are a few other works that deal with issues of religion. Poems of Gerard Manley Hopkins (1918), a poetry collection by Gerard Manley Hopkins. This posthumous collection is concerned with God's presence. Siddhartha (1922), a novel by Herman Hesse. This novel centers around the worldly and spiritual trials of a man named Siddhartha, who may or may not be the Buddha. Four Quartets (1943), poems by T. S. Eliot. This book of four poems uses mysticism, Hindu philosophy, and Christian imagery to get its message across. In her writings, Yonge was greatly influenced by her faith and religious beliefs as a member of the Oxford Movement. Her life in the village of Otterbourne as well as her intellectual grounding in history also informed her works. In addition, Yonge reflected the Victorian era in which she lived by exploring the middle-class domestic life she knew so well. She was personally mentored by her father and Keble in her literary pursuits. Influence. Yonge’s domestic novels and family sagas influenced at least two generations of girls and young women about their roles in life. Authors like Christabel Coleridge, Florence Wilford, and Frances Peard followed in Yonge’s footsteps by being submissive and writing for children. In later decades of the twentieth century, Yonge’s early Victorian-focused message came to seem outdated as society’s attitude towards women—and their education—changed. The Heir of Redclyffe. An oblique retort to Queenie Leavis’s charges that doctrinal rigidity and provincialism are the dominant qualities in Yonge’s domestic novels comes from Kathleen Tillotson. Writing in 1953 for a centenary broadcast on the BBC about The Heir of Redclyffe, she claims that ‘‘the moral content of The Heir of Redclyffe is easily disengaged from the social content and is not seriously out of date.’’ After praising Yonge’s use of symbols in this novel, Tillotson notes that the final chapters trace the progress of the heroine after Guy Morville’s death; ‘‘It was, I think, Charlotte Yonge’s keen sense of [domestic] life that kept her from vapid sentimentality ....’’ Also contributing to the argument, Barbara Dennis asserts that Yonge’s work is weakened by ‘‘her inability to come to terms with the movement of mind in the nineteenth century’’ and the lack of sympathy she displays toward manifestations of religious doubt. 1. Write an essay explaining what is meant by a ‘‘domestic’’ novel. Describe, using examples from Yonge’s work, how Yonge’s writing fits into this category. 2. Lead your class in an exploration of Guy Morville in The Heir of Redclyffe. Is he admirable? What are his faults? 3. Create a poster or electronic presentation in which you compare Yonge’s children’s fiction with C. S. Lewis’s Narnia series. Why do you think the latter was more successful? 4. With a small group of your classmates, discuss what might be the best way to present a doctrine of religion or ideology to children. What would or wouldn’t you want to hear or read? Come up with a brief proposal to present to the rest of your class. Battiscombe, Georgina. Charlotte Mary Yonge: The Story of an Uneventful Life. London: Constable, 1943. Brownell, David B. ‘‘The Two Worlds of Charlotte Yonge.’’ In The World of Victorian Fiction. Cambridge, MA: Harvard University Press, 1975, pp. 165-78. Coleridge, Christabel Rose. 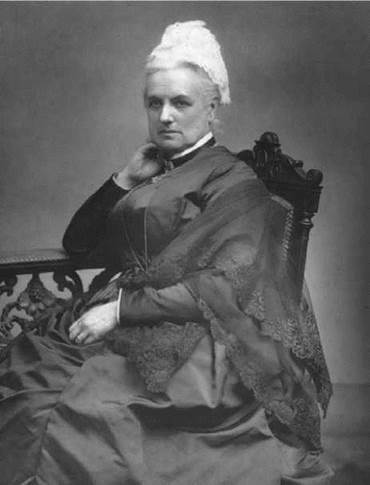 Charlotte Mary Yonge: Her Life and Letters. London: Macmillan, 1903. Lewis, C. S. God in the Dock: Essays on Theology and Ethics, ed. Walter Hooper. Grand Rapids, Mich.: Eerdmans, 1970. Romanes, Ethel. Charlotte Mary Yonge: An Appreciation. London: Mowbray, 1908. Tillotson, Kathleen, Mid-Victorian Studies. London: Athlone Press, 1965. Dennis, Barbara, ‘‘The Two Voices of Charlotte Yonge.’’ Durham University Journal 65 (1973): 181-88. Leavis, Queenie Dorothy. ‘‘Charlotte Yonge and ‘Christian Discrimination.’’’ Scrutiny 12 (Spring 1944): 152-60. Mitchell, Sally. ‘‘Sentiment and Suffering: Women’s Recreational Reading in the 1860s.’’ Victorian Studies 21 (Spring 1977): 29-45. Sturrock, June. ‘‘A Personal View of Women’s Education 1838-1900: Charlotte Yonge’s Novels.’’ Victorians’ Institute Journal 7 (1979): 7-18.